Are you planning a Disney Cruise in the near future? Here are 35 Disney Cruise Tips and a few secrets that you should definitely know before you go! Plus, a fun tutorial on how to make your own Disney Cruise Cups! A Disney Cruise is definitely on my brain because we just make our final payment for our next cruise for later this year. It will be our 3rd Disney Cruise and while I feel like I learn something new on every cruise, today I’m share some of the Disney Cruise tips that I have found most helpful on our previous cruises. 1. Check-in online as soon as you can. The date you can check-in depends on if you’ve ever been on a Disney Cruise before so be sure to mark your date on a calendar. The earlier you can get on the ship, the better – it’s more fun than waiting in the cruise terminal plus there are activities on board that you’ll want to get tickets for and those tickets are first come, first serve [and free]. 2. Wear your bathing suit under your clothes. Because you’ll drop off your luggage in the terminal, you won’t have access to your swimsuit until later in the day. The swimming pools usually aren’t too crowded during this time, so take advantage! 3. Pack a Carry-On Bag with all the essentials. Once again, your luggage will be delivered to your stateroom later in the day so you’ll need all the essentials with you. Check out this post all about Disney Cruise Packing List full of ideas, especially for your Carry-On. One item that I didn’t include in that list, but definitely include in my carry-on bag now is a portable charger. Since you won’t make it to your stateroom until later in the day, it’s super important to be able to charge your phone for all those first day picture opportunities. I have been loving the HubMini from myCharge. Not only can it charge 2 devices at the same time, but all the cords are built-in and it’s tiny! Be sure to check the specs on what type of devices it can charge – but I’ve found that it works great with our iPhones and Kindle Fire Tablets. It goes above and beyond comparable competitor’s – recharging 65% faster and charging your phone or devices 50% faster. It’s definitely a must for any cruise carry-on, travel bag, or just your day bag in general! You can find the myCharge HubMini on their website as well as on Amazon.com. Disney Cruise Lines hasn’t adopted the Magic Bands they have at Disney World yet. Instead you have a “Key to the World Card” that is used for everything – your identification card when getting on and off the boat, unlocking your stateroom, and even on-board charges. You’ll want to keep it on you at all times so a lanyard is super helpful. But another thing you’ll want to keep on you is your phone – because of the Navigator app and camera! Use these waterproof phone cases for both! If you’re some of the first people to board the ship, be sure to get upstairs and in line to get limited tickets to some character Meet and Greets. They are free, but are only available for a certain amount of people, which is why they distribute tickets this way. Download the Navigator app before you get on board. Within the app you’ll be able to see all the daily activities, as well as be able to text message [FREE] with others in your party that have the app on their phone. This is one of my FAVORITE Disney Cruise tips because Disney Cruises are one of the only cruise lines that offer free soft drinks – take advantage by bringing your own refillable cups. While they do have paper cups, you’ll find that they’re super small and there are times when you want to bring a drink back to your room or while you’re doing various activities. On our last cruise, I decided to get crafty and make personalized Disney Cruise cups. I LOVED the way they turned out and we had so many people come up to us and ask where to buy them. While I used these cups from Amazon, because I wanted a cup with a straw, next time I’m thinking I’ll buy Tervis Tumbler Water Bottles instead. It would have been nice to be able to stick our cups down in a bag when we were heading to Castaway Cay and other ports. Scroll to the bottom of this post for tips on how to make your own Disney Cruise cups. The stateroom doors are magnetic, so a lot of cruise go-er’s take super fun magnets to decorate their door. Here’s some FREE templates to make your own. This is a newer cruise activity that we actually haven’t participate in ourselves, but I saw them on our last cruise. It’s similar to geocaching, I suppose, where you leave little gifts inside the fish extenders for other guests. Here’s a great post explaining Fish Extenders. There was once a rumor that you could bring a pillowcase to be dropped off at Guest Services to get all the characters to sign – THIS IS NO LONGER ALLOWED as I found out last year when I tried. It’s also widely reported to bring a power strip and over-the-door shoe hangers for extra storage – DON’T! Neither are allowed! One thing you will want to bring is a pop-up hamper. I found one at Dollar Tree. It’s perfect because it flattens out for easy packing and doesn’t take up much space in your stateroom. Even in the summer months, nights can get chilly on the ship. Don’t forget to include a light jacket in your luggage. Be sure to check your Disney Cruise itinerary for specific theme nights. Now that there are more themed cruises, nights are changing a bit, but for example the cruises we’ve been on have a Pirate Night. It’s super fun to see just how extensive some people go with their costumes. We used this Pirate Night Costume Idea on our first cruise and LOVED it! It’s not required to dress up, but is super fun. This is one of those Disney Cruise tips for parents like me who don’t like to spend a ton of money on snacks – because everything else on a Disney Cruise is free it’s hard for me to pay for those snacks! Pack some movie-style candy boxes in your luggage and bring them along to the movies [there are 2 movie theaters on board that show brand new Disney movies] and the nightly shows. We had a big mix up on our first Disney Cruise and got put on the 2nd seating of dinner. We were SO worried because eating dinner at 8pm isn’t something we normally do. It turns out, we LOVE 2nd seating and always choose it now for a couple of reasons. First, that means we see the nightly show at 6. These shows are AMAZING and can’t be missed – and the girls LOVE them and since we’re there at 6, they’re wide awake. To help your kiddos last until 8pm if you’re in the 2nd seating, grab them a plate of food in the quick service restaurants on the main deck around 5pm. It works out so well for our family to do things in this order. T7e way Disney does dining is super cool – you’re always at the same table, you always have the same servers, but you move from restaurant to restaurant during the week. You’ll receive your rotational dining schedule on the first day of your cruise. Tips are the only thing that aren’t covered in your cruise [well, other than souvenirs and port adventures]. Disney will apply a standard tip to your credit card, but you’ll also receive envelopes in your room on the last night of your cruise if you’d like to tip certain employees who have went above and beyond… and believe me, they DO go above and beyond. We always spring for the travel insurance. When you’re investing this much in a vacation, it’s important and really is a fraction of the cost of losing your entire vacation. We’ve stayed in both a Verandah room, with an outdoor balcony, and an inside stateroom [the least expensive of any other room] and actually prefer the inside stateroom! Not only did it seem more roomy, I didn’t have to constantly stress about one of my kids falling overboard. Honestly, we hardly stay in our room other than sleeping and if we want to see the ocean, it’s a quick elevator ride up to the main deck which has a spectacular view. I never go on vacation without a wet bag and I definitely always have one on a Disney Cruise. They’re perfect to carry wet towels, wet bathing suits… anything really. These Disney Cruise tips are super important because they will save precious room in your luggage! There’s no need to bring a hair dryer, shampoo, or even body wash. All 3 are located in your stateroom bathroom and you’ll LOVE their bath and body supplies, which you can purchase in the gift shop! You also don’t need to bring towels. 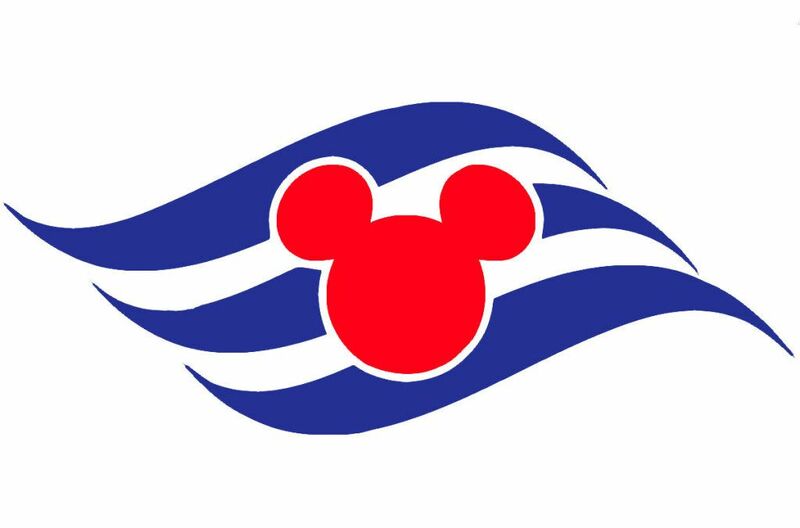 I love that Disney provides pool towels on board, as well as when you get off the boat at your ports! No need for any beach towels! 22. Don’t forget your beach bag! 23. You’ll get to watch NEW Disney movies on board! This has to be one of the coolest things about a Disney Cruise. There are 2 movie theaters on board and not only can you catch classic Disney movies playing, if there are new releases in theaters around the time of your cruise, they’ll be playing on board! In fact, we were one of the FIRST [along with the few hundred other people in the theater] to see Beauty & The Beast on board! They showed it at midnight on opening day on the cruise! Super cool experience for sure. It’s one of my kids’ [and hubby’s] favorite parts of the cruise – all you can eat self serve ice cream cones. This is one I was really surprised about – the swimming pools on Disney boats are SMALL, like really really small. One of the best tips I have for getting to enjoy the swimming pool is staying on board when you port and taking a dip when the boat is less crowded. Be sure to arrive earlier than your scheduled check-in time as you don’t want to miss that window. Also, this process goes SO much faster once you’re a member of the Castaway Club [go on more than 1 Disney Cruise to become a member] because you get your own check-in line! During initial boarding, be sure to have your photo ID or passport and signed cruise papers handy. You’ll need these for everyone in your party. 27. Grab lunch at Cabanas as soon as you get on board! My favorite Disney Cruise secret – Cabanas is open immediately. Head and have a quick lunch as soon as you board! Take advantage! Although I wouldn’t recommend skipping dinner [because oh my at the food served at dinner], room service is the perfect time to order cookies and milk while you’re watching a Disney movie in your room late at night! Have a food allergy? Disney is SO accommodating! Not only will your waiters and waitresses remember your favorite drinks every night, they’ll also go above and beyond to prepare special meals and desserts if you alert them of a food allergy before your cruise. If you check in online, you can register any food allergies at that time. Before our first cruise I did a lot of reading and saw that so many people recommended the kids clubs on board. I believe most ships have 2 clubs – one for younger children and one for older. The girls were LITTLE on our first cruise and I was so hesitant to leave them with strangers… except that they LOVED it! Adults aren’t allowed in the Kids Clubs at all, except for during Open House hours during the first couple of days of your cruise. This is a great time to get the kids acquainted with the area and a little more at ease [more for you than for them, trust me]. While in the club, kids can eat lunch, have story time with characters [my girls still talk about the time Peter Pan read them a story], do arts and crafts, and so much more. I know you’re wondering about security – it’s amazing and so reassuring. Only the people that you list are allowed to pick up your children from the clubs AND they have to know a secret password. Super secure and safe. Plus if your child tells a club employee that they’re ready to leave, they’ll call your wave phone and let you know! While we don’t let the girls stay in the kids clubs for long amounts of time – hello the point of family vacation is to be together as a family [no matter how much they beg] – we do take advantage and head to the adults only section of the deck and pool, or catch a movie. It’s a nice break for us too! Castaway Cay is Disney’s own private island and honestly one of our favorite parts of taking a Disney Cruise. And apparently we’re not alone as Disney has started offering “Double Dip Cruises” after many requests to visit the island twice during a cruise! Here are some of my favorite tips for our favorite Caribbean island! No tips here as we actually haven’t let the kids head to this kids club yet, but we plan to this Fall as we’re both planning on running the Castaway Cay 5K. I’ll update later with any info about this kids club once we use it. My husband has participated in the 5K both times before and this year it’s my turn – and you should do it too! All types of people are welcome, walkers and runners, and every participant gets a medal! It’s free to participate, but you do need to sign up on board. Children ages 10 and up are welcome to participate. It’s also a great way to be one of the first on Castaway Cay as participants disembark first! So this is one of the best, inexpensive souvenirs at Castaway Cay. Take the postcards from the desk in your stateroom and mail them right from the island! Speaking of Castaway Cay souvenirs, if the island turns out to be one of your family’s favorites be sure to buy merchandise on the island because that’s the only place you can get it! The island has one-of-a-kind souvenirs that can’t be found anywhere else [even on board]! The only excursion we’ve done on the island is ride the paddle boats [totally recommend as we saw some great fish and even a sting ray] but there’s plenty to keep you busy. Some sell out fast so be sure to book during your online check-in process. Others you can purchase the day of and others you can do on your own! You can bring your own snorkeling gear to save a little money too. Bonus Tip: Be sure to take your DIY Disney Cruise Cups on the island – there are soda machines on Castaway Cay too! Now, let’s get to those cups, shall we?! You’re going to thank me for the tip of taking your own cups as those paper cups are tiny [and I know you don’t want to contribute to all that waste]. If you have a Cricut [or any similar machine], these cups are super easy to make and enjoy. If you don’t have a Cricut and you’re going on a Disney Cruise, I’d highly recommend buying one. You’ll be able to make super cute unique, custom shirts for a fraction of the price you’d buy them, plus these cups, door decorations and so much more! Clear Cups [I bought the ones you see on Amazon, but I do NOT recommend them. They cracked so easily.] I’ll probably end up buying these for our upcoming cruise. This is a great beginner Cricut project because it’s so easy and contains minimal layering as well as minimal vinyl. It’s easy to convert these jpg files to cut projects right inside the Cricut program. If you have questions on how to do that, let me know! A Disney Cruise is the best family vacation ever! I would love to take my family on a Disney Cruise–it looks amazing! I will definitely look into these cruises for the cool boats and refillable sodas! These are great tips. We will definitely try the 2nd seating dinner! I would love to take any cruise one day, especially a Disney one. Super tips also. Thanks for the great tips. I’ll have to go on a Disney Cruise soon. Thanks for all the tips & the cups are adorable! OMG! We so want to do this but just haven’t been able to manage it yet!